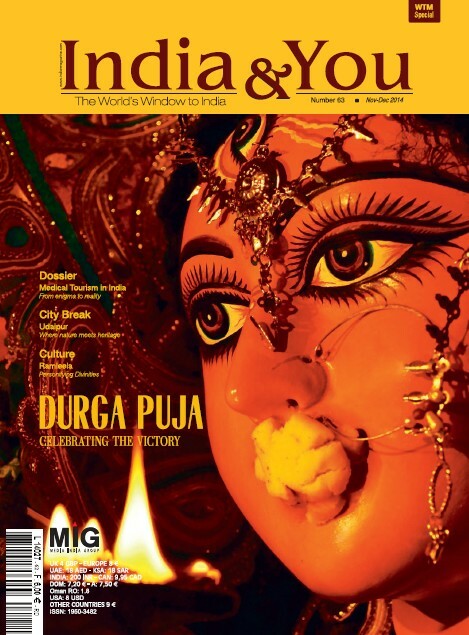 The yet another special issue on the occasion of World Travel Mart, London, also marks the year-ending issue of India & You. The highlight of the issue is Medical Tourism in India. A popular destination for heritage, culture and spirituality, India is now developing rapidly as a hub for tourists with medical needs ranging from basic dentistry to complex cardiac and orthopedic procedures that is covered in detail in the dossier. From niche to conventional tourism, we take you on a journey to Goa, Sikkim, Lakshadweep and Udaipur through the travel section. In response to the festive season in India, we present to you Durga Puja and Ramleela in photo-feature and culture sections respectively. With the hope to see you the next year with a special issue on Pravasi Bharatiya Divas in January, we wish you a Happy New Year!